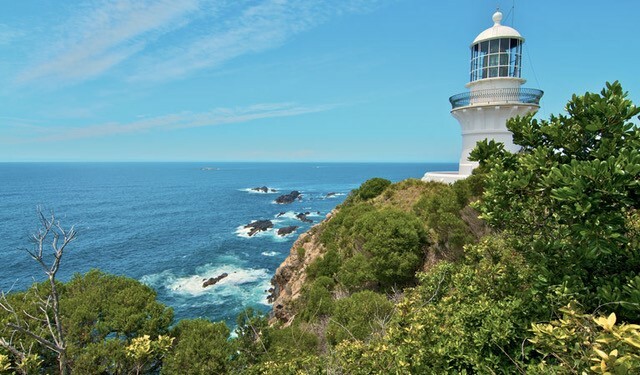 The first major lightstation complex constructed in the “highway of lights” along the east coast of NSW, is to become the latest addition to the State Heritage Register, cementing its significant place in our history. Member for Myall Lakes, Stephen Bromhead said Sugarloaf Point Lightstation at Seal Rocks is an important and early park of the maritime history of NSW. “Sugarloaf Point Lightstation was a collaboration between the Colonial Architect, James Barnet and the President of the Marine Board of NSW, Captain Francis Hixson. “They wanted to make the NSW coastline ‘like a street with lamps’ so navigators had a constant and permanent guide. “Sugarloaf Point lighthouse and the keeper’s cottages was the first light station to be built following an 1863 review of coastal navigation. “It was and is still an important link in the chain of lights that guide ships and boats up and down the coast. “Constructed and lit in 1875, the lightstation was also the most expensive station at the time. “Its final cost of 18,973 pounds reflects the colony’s commitment to the installation of navigational aids along the NSW coastline to protect its maritime traffic. “Set on a spectacular headland, of significance to the Worimi people, the lightstation is now part of Myall Lakes National Park. “Sugarloaf Point Lightstation may have been built to save ships from the hazards of the coastline, but it is also a fantastic place to watch the whales go by. “The former light keepers cottages are available for short stay accommodation and are a great location for a quiet weekend’s holiday. ‘Sugarloaf Point Lightstation at Seal Rocks is a magnificent addition to the State Heritage Register,” Mr Bromhead said. The Listing has been approved by Environment Minister Gabrielle Upton and was formally gazetted on Friday 22 February 2019.